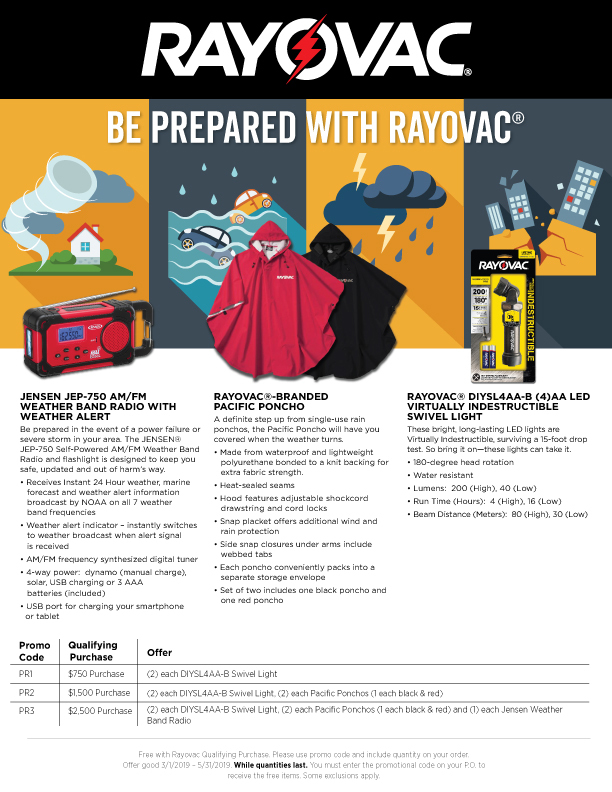 Rayovac drives showroom and over the counter sales with innovative quarterly promotions. Immediate redemption and powerful savings on batteries and lights will drive your product sales and increase your profits! team as they are a fourth-generation family-owned business that throughout the years turned safety from their job, to their legacy. It is with great pleasure that RAYOVAC recognized Magid Glove & Safety, (Romeoville, Illinois), with the Outstanding Distributor Award. For more information about Magid Glove & Safety, please visit www.MagidGlove.com.